Visit our submissions section to view all of the submissions the HWU has made in regard to Portable Long Service Leave. Women currently working in the health sector have a final opportunity to register their interest in a scholarship worth up to $8,000 to support participation in a leadership development program. In order to improve the pay and working conditions of HWU members that work within our aged care sector, and to improve the quality of care delivered to older Australian’s, the HWU has been representing workers on a number of levels. We have been active in our member’s workplaces, lobbying parliament, making numerous submissions to federal and state parliamentary inquiries, the DOH and other organisations, attending taskforces and advisory groups and we have been working with our partners in the research sector. The most recent aged care research study that we have been involved in is being run through the University of Melbourne and the Brotherhood of St Laurence. The research project is investigating the connections between employment and health among older workers in the aged-care sector. The study is funded by the Australian Research Council and is titled: “Working well? Older Workers, Health, and Work”. We encourage HWU members that meet the research study participant criteria (such as age, gender, health status or live in a particular postcode) to participate in this important study. We also encourage members that might know someone that meets the research study participant criteria to inform them of the study. We encourage interested members to contact Dr Aaron Hart on (03) 9483 1330 or harta2@unimelb.edu.au. Please click the following link for an opportunity to participate in the study. It’s amazing to look back and see just how far our world has come technologically. If someone from 100 years ago suddenly found themselves in today’s world, they would think they had been teleported into another dimension. The same can be said about technology in healthcare. It has improved the overall operational efficiency, enhanced standards in patient care. Healthcare technology has transformed and enhanced the entire experience for both patients and medical professionals. The top healthcare technologies & trends within the healthcare industry are revolutionising the sector. Although the Australian healthcare sector has adopted some of these technologies, we continue to lag behind other western countries in introducing the technologies. The Heath Workers Union believes that in order to continue to deliver best practise healthcare, we must invest & introduce the following trends and innovations in our hospitals, aged care sector, community health centres & other health related work places. The accessibility of data and the means to store and process it is a hallmark of the technological age. The Internet, intranet systems, search features and the ability for healthcare professionals to rapidly share information have enhanced the synthesis and analysis of data. “Big data” in healthcare allows the entire field to benefit from comprehensive research studies. These endeavours can access larger and more diverse population groups than ever before. The availability of fast & high level data can be used to automatically identify risk factors and recommend the right preventative treatment by comparing patient data with data from thousands of other patients. Furthermore, people living in rural and regional areas will benefit from this technology. At the same time, disabled persons and people from NESB may also benefit. The successful introduction of Australia's NBN will have a significant impact on the success & roll out of this technology in our health sector. Technological innovations in healthcare have facilitated much smoother communication within healthcare organisations. Medical professionals can now use media such as video, online discussion platforms and real-time meeting capacities to communicate and advance the spread of knowledge in the field. The availability of Electronic medical records in-house (as compared to a paper trail) can be accessed by all relevant departments (for example, between the Emergency Department and Psychiatric departments) and care providers. This results in improved case management, treatments and patient recovery. In the past, medical information from visits to the General Practitioner (GP), medical specialist, allied health professionals and the dentists were held in separate locations with different health practitioners and hospitals. Electronic medical records allow all patient histories, test results, diagnoses and relevant information to be stored centrally in an online database. Access of this data by medical professionals allows for more focused and real time care as well as the ability to see health trends for each individual. The introduction of new, more user friendly Medical billing systems allow hospitals, clinics and medical practices to run much more smoothly and increase productivity. Telemedicine/Telehealth services such as video-conferencing are becoming cost effective ways to complement local health services. It is particularly beneficial to those living in rural, regional and remote communities and requiring regular access to medical specialists who live several kilometres away. Generally you have a GP, other medical practitioners, nurse practitioners, midwives, health workers and practice nurses providing face-to-face clinical services to the patient during the teleconsultation with the specialist to ensure the correct procedures are carried out. In the 2017-18 Federal Budget, the Australian Government announced funding of $9.1 million over four years from 2017-18 to enable Australians who live in rural and regional Australia to access Better Access services via video conferencing. Medicare-funded telehealth services are also available to residents of eligible aged-care homes and to patients of Aboriginal Medical Services across Australia. Mobile software applications (that is, mobile apps) are key to improving accessibility for patients and healthcare professionals. Mobile apps enable people to easily manage their health and wellbeing; everything from prompting them to get check-ups, to finding general medical information or accessing their test results securely online 24/7 without having to book in an appointment with their GP and wait days for results. Healthcare professionals on the other hand, can quickly access information relating to diseases and drugs, images for clinical matters, continued education activities and so on. The Health Workers Union has invested in the development of an Aged care & Disability Apps. Health Workers Union Members can download the Aged Care App from our website & the Disability APP will be accessible before the end of 2017. The Health Workers Union plans to develop additional APPS for other health industries or sectors. We encourage members with ideas about new Apps to contact the HWU and share their ideas. Australians have always taken for granted that when they need medical treatment, their Medicare card (and the taxes that they have paid) entitles them to prompt quality health care. Unfortunately, due to the fact that private health insurance companies have been increasing their premiums by 7% to 12% a year, uninsured Australian’s have been forced to wait longer than ever before for most medical procedures. A new report published by the Australian Institute of Health and Welfare (December 2017) found that public patients have been forced to wait twice as long for elective surgery compared to private patients . The main reason behind this unacceptable reality is related to the fact that a large number of Private patients have been using public hospitals. The Australian Institute of Health and Welfare also found that between 2006 and 2016 the number of Private patients treated in Public hospitals increased by almost 10% a year. At the same time, insured patients treated in private hospitals only increased by 5%. Regrettably, due to frequent cuts to healthcare funding, Public hospitals are actively competing for Private patients because they are able to obtain financial benefits from private patient’s health insurers. They offer Private patients prompt treatment, private rooms, daily flowers and newspapers and free telephone, internet and Wi-Fi usage during their hospital stay. In fact, the Australian Government has released a paper titled “Options to reduce pressure on private health insurance premiums by addressing the growth of private patients in public hospitals” for public consultation. It appears that the government is looking to increase the number of private patients using public hospitals with the hope that this measure may encourage Private health insurance companies reduce their yearly increase of health insurance premiums. Successive Federal governments have supported the private health sector financially via the private health insurance rebate and other direct financial contributions. In 2014-15 the Australian Government spent $5.8 billion on the Private Health Insurance Rebate. The government justifies financially supporting private health insurance companies with the claim that this would help reduce the pressure on Australia’s public hospital. That is, people with private health insurance would be treated in private hospitals. Unfortunately, the truth of the matter is that over the past decade, the reverse has occurred, with an increasing proportion of insured patients being treated in public hospitals. Most private hospitals have set up their services so that they offer a limited set of services that are likely to deliver them higher profits. This means that the more complex and difficult patients have been treated by our Public hospitals. The growing practise of insured patients and their doctors using public hospitals has been promoted by state and territory governments. This behaviour needs to stop because it is undermining Australia’s principle of universal health care based on Medicare and is unfair for the majority of Australians that are not insured. We urge state and federal governments to look at the statistics and hear the stories of uninsured patients and to stop this practise. If change does not occur quickly, we fear that Australia’s health system will become two-tiered. That is, one system, for the rich and another for the poor and working class! The Human Services and Health Partnership Implementation Committee (HSHPIC) is a joint committee of peak community organisations and departmental representatives. The Victorian community sector and Health and Human Services Partnership Implementation Committee (HSHPIC) are working collaboratively to develop a 10 year Community Sector Industry Plan (CSIP) for Victoria. The CSIP will provide an all-encompassing view of the major trends and strategies that will impact all sectors over the next decade. The CSIP will also assist in planning for the future community services plan for the state. VCOSS and DHHS are hosting regional consultation events to provide an opportunity for community sector representatives to take part in the CSIP planning process. VCOSS and DHHS are hosting four regional consultation events to provide an opportunity for community sector representatives to take part in the CSIP planning process. These events will be held in Bendigo on the 6th October, Traralgon on the 9th October, Benalla on the 17th and October and Wyndham (20 Oct). For more information about the abovementioned events, please click on the following link. The Australian Productivity Commission is currently conducting a public Inquiry into the increased application of competition, contestability and informed user choice to human services. In other words, the Government is holding an Inquiry to find ways of using the guise of “competition” to drive down costs in the health sector. The HWU has some strong views on this subject! Our Assistant Secretary David Eden and Research and Projects officer Kamal Bekhazi appeared before the Productivity commission Public hearing in Melbourne on July 28th 2017. They provided input direct to the Commissioners! We are fully aware that the health sector is increasingly resource hungry. Providing high quality healthcare to Australians, especially as the population ages, is a costly business, and a genuine challenge for governments, both State and Federal. It makes sense that policy makers review the operating models and costs structures from time to time to ensure resources are not being wasted or used inefficiently. We do not support competition for competition’s sake, especially when it comes to the provision of health services. The health sector is not a commodities market. Compassion, care and respect are the life blood of our system but they are not products to be traded like stocks on the exchange or Pots and Pans in a retail outlet. The key point the HWU has made - and will continue to make - on the issue of the application of competitive models in the health sector, is that quality of care (which depends on fair and safe working conditions for staff) must be the paramount consideration. Quality of care must come before money, and be given primacy over economic models and balance sheets. Increasingly, governments around the world are using competition as a key tool in health care. The federal government believes that competition can help contain the growth in health care expenditure by driving down costs, improving efficiency, stimulating quality improvements and driving innovation. Those that support competition and the use of market mechanisms in health care tend to also oppose direct public sector regulation such as controlling prices. They argue that regulation creates health systems that operate inefficiently and creates barriers to innovation and reform. The HWU has a very different view, namely, the provision of health care is very different from markets for other goods and services. That is, providing healthcare is not the same as selling Pots and Pans or providing a landscaping service to households. It is not appropriate to simply adopt pro-market mechanisms, such as competition (even though they are used extensively in other sectors of the economy). The social and community heath sectors are not a series of independent cost centres. They are sectors made up of a people in need of care and support and people skilled in providing that care and support, coming together in a myriad of ways and circumstances. The sector is not generic, or standard, and the transactions between consumers and providers not always quantifiable, or able to be measured in dollars and cents. Another point the HWU is keen to get across to the Government, via the Productivity Commission, is that competition and contestability can actually cost the government and the sector money. In recent years we have seen many providers outsourcing or otherwise selling off the profitable parts of their operating model. By outsourcing Car Parking, or Cafes or Florist shops, healthcare providers have got a short-term profit to their bottom line, but over the long run these sell-offs have resulted in lost revenue or money that could otherwise have been reinvested back into the health sector. Instead, staff, patients, residents and visitors end up paying ridiculous prices for private car parking or café owners (for example, $4.50 for a 400ml bottle of concentrated orange juice) and, rather than being re-invested in health, that money leaves the health sector, and in many cases, the country. We recommended that the government consider bringing back in-house profitable departments such as car parking and Cafes. Health administrators must move away from a budget and volume driven health system. Instead, health administrators must focus on delivering and making their explicit goal to deliver excellent outcomes. The Commission Report is due in October 2017. You can read more about the recommendations that the HWU have made to the PC and access the written submission made to the Productivity Commission by clicking below. On February 23rd, 2017 the Fair Work Commission (FWC) recommended a cut to penalty rates for hospitality and retail workers. Maurice Blackburn lawyers reviewed the FWC decision and found that the Commission’s findings of fact and law are all findings potentially applicable to other awards. In other words, workers within the health and community sectors could also have their penalty rates cut. In less than two weeks, almost 700,000 workers will have their penalty rates cut! Workers will notice that their take home pay will be slashed by about $70 a week. This is unacceptable and will hurt the most vulnerable people in our society. People living in socio-economically disadvantaged areas, regional communities, young Australian’s, women and in particular single mothers will bear the brunt of the FWC cuts to penalty rates. Penalty rates were established in 1947, when unions argued in the Arbitration Commission that Australian workers needed to be compensated with additional pay for working outside normal hours. We cannot let the FWC or the Federal government to allow these cuts to be made! We have the power to stop the penalty rate cuts! In fact, the Turnball government can vote in the parliament to have these cuts stopped! The Labor party and the Greens are in favour of passing a law to stop the FWC penalty rate cuts from happening. In fact, a bill that will reverse the penalty rate cuts has already passed the Federal Senate. All we need is for the Federal government to support the bill. Instead of supporting the bill, yesterday, the Federal Government (the Liberal party and Nationals coalition) used its numbers in the House of Representatives To Stop a debate before a vote could even be taken. 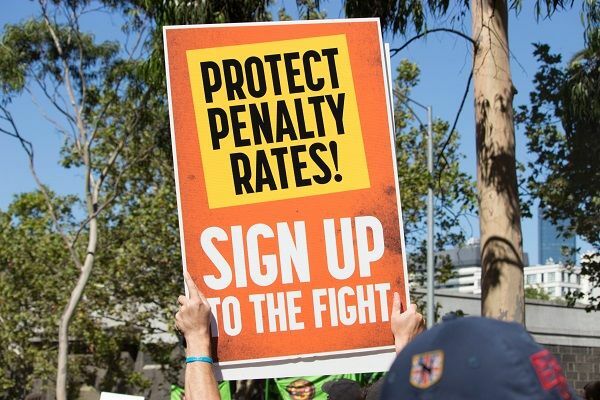 We urge all members and their families to call and write to your Federal Member of Parliament (especially Federal Members of Parliament that belong to the Liberal and National Parties) and ask them to pressure their leader, Malcolm Turnbull to vote in the parliament to Stop the Penalty Rate Cuts from commencing in Less than Two Weeks! The Health Workers Union has written a submission in response to the FWC decision to cut penalty rates. We have recommended that the Federal government introduce legislation to federal parliament to protect penalty rates from the recent Fair Work Commission decision to cut Sunday and Public Holiday penalty rate pay. HWU Secretary Diana Asmar speaks up for 127 low-paid Cabrini linen workers in Dandenong that are set to lose their jobs! The Health Workers Union Assistant Secretary David Eden and Research & Projects Officer Kamal Bekhazi gave evidence at the Federal Senate Inquiry into Corporate Avoidance of the Fair Work Act on the 14th March 2017. The Inquiry was held in the Conservatory Room, Mercure Ballarat Hotel and Convention Centre, Ballarat. Bullying and harassment within the health sector and the need to improve the Fair-work Act to allow unions to better represent victims of Bullying and Harassment. The Health Workers Union will continue to represent our members at the highest level of government and will not rest until we improve the pay and work conditions of our members! The courier has written two articles related to the evidence our representatives gave to the Senate committee into Corporate Avoidance of the Fair Work Act. Please click on the links below to read the articles. Penalty rates may become a thing of the past unless you take action! Most of you may have heard about the shocking cuts to penalty rates (including weekends and public holidays) that were recently announced by the Fair-work Commission. The changes to Public Holiday pay will come into effect on July 1st of this year! The decision effects people who work in the retail, hospitality or fast food industries. This decision has set a precedent! They will be coming after your pay next, no matter what sector you work in. Most Australians are incensed! Some people are angry and others annoyed. You can help us stop them by Joining the Health Workers Union and writing to your local Member of Parliament. The government is not interested in stopping this attack on the hundreds of thousands of workers that rely on Sunday and Public Holiday penalty rates. The government is only interested in looking after the rich and multinational corporations. They cut workers penalty rates and give tax concessions to big business. What has happened to the lucky country? It feels like the large mining companies and the banks, not the workers, are the lucky ones these days! They are making billions of dollars, sending most of it offshore and avoiding paying their fair share of tax. We can do something about this, but we need to join forces and work together. The federal government is trying to make changes that will hurt the battlers and benefit the Rich! The Health Workers Union recently made a Submission to the Senate Community Affairs Legislation Committee inquiry into the Fairer Paid Parental Leave Bill 2016. We urge the senate to reject the Bill in its current form! The Bill should be amended so that it increases the proposed Paid Parental Leave Entitlements limit from 18 weeks to 26 weeks, resulting in an increase of $5,382 for the average mother. Australian Paid Parental Leave Entitlements should be means tested. The federal government must introduce Bills and other regulations that aim to stop loopholes used by large multinational corporations, the banks and mining companies to avoid paying their fair share of taxes! The committee tabled its report of the inquiry in the Senate on 15 February 2017. A copy of the committee's report can be accessed on the committee’s website here. The committee's report noted that Schedules 17 and 18 of the Social Services Legislation Amendment (Omnibus Savings and Child Care Reform) Bill 2017 (Omnibus Bill), introduced into the House of Representatives on 8 February 2017, contained similar provisions to those in the Fairer Paid Parental Leave Bill 2016. The committee is now conducting an inquiry into the Omnibus Bill for report by 20 March 2017. The Omnibus savings and Child Care Reform Bill and accompanying documents can be accessed on the Parliament of Australia website. The committee intends to consider the concerns raised and the evidence received in the committee’s inquiry into the Fairer Paid Parental Leave Bill 2016 in conjunction with its consideration of the provisions of the Omnibus Bill. We have been invited to make another submission for the committee's inquiry into the Omnibus Bill. The closing date for submissions is 3 March 2017. What is the Omnibus Savings and Child Care Reform Bill 2017? Last week the Coalition introduced a Bill that they called the Omnibus Bill 2017 to try to make nearly $4 billion in savings through the Parliament. The bill included increases to childcare subsidies, and cuts to family tax benefits and paid parental leave. Most recently, the Treasurer Scott Morrison tried to blackmail the crossbench (made up of independents, the Greens, One Nation, Nick Xenophon and others) to support the bill, stating that the Government would redirect $3 billion to the National Disability Insurance Scheme (NDIS) if the legislation passed. Millions of Australian’s, mainly those that can least afford it will be harmed. They include: Pensioners, New parents and Families with Children, and Students and Young people will lose almost $100 a fortnight after the Liberals kick them off their Newstart Allowance and move them to the inappropriate Youth Allowance (they want to make 22 as the qualifying age for Newstart Allowance). Turnbull and Scott Morrison have been saying that these cuts are needed – but the reality is that the Government will use the so called savings to fund enormous tax cuts for well-to-do corporations, many of whom don’t pay their fair share of tax anyway (their accountants find loop-holes and other means to avoid paying tax). If these companies did pay their fair share of tax, then the government would have the money to fund our community services properly. Nick Xenophon stated that he was against the governments devastating cuts – well, some of them. But the other crossbenchers are still uncommitted. They might yet give the go ahead for the government’s plans. Released by the Minister for the Prevention of Family Violence, Minister for Women & the Premier of Victoria. The Andrews Labor Government will deliver landmark reforms to protect women and children, with the release of a 10 Year Plan to end family violence. Ending Family Violence: Victoria’s Plan for Change details how the Labor Government will deliver the 227 recommendations made by Australia’s first Royal Commission into Family Violence and build a new system that protects families and punishes perpetrators. On average one woman is killed every week in Australia by a current or former partner. This announcement follows our record $572 million investment in the Victorian Budget 2016/17. A 10 Year Investment Plan will be released in March 2017 detailing the further funding needed to implement our reforms. Together we are building a new system to prevent family violence, protect the vulnerable, and punish the guilty. These are landmark reforms that will help save the lives of women and children across Victoria. The above News release was sourced from the Website of the Premier of Victoria. Safe and Strong: A Victorian Gender Equality Strategy will address gender inequality, sexism and violence against women. The plan is multifaceted. It includes a Gender Equality Act and a new organisation dedicated to preventing family violence. For more information about this important strategy please click here. For more information about the Australian Workplace Gender Equity Agency please click here. On the 10th of November 2016, the Senate referred what the Turnbull government calls “The Fairer Paid Parental Leave Bill 2016” to the Senate Community Affairs Legislation Committee for inquiry and report. The senate is calling for submissions by 16 December 2016. The reporting date is 15 February 2017. Pregnant women and their families face growing financial insecurity as the Turnbull government has succeeded in advancing their move to change paid parental leave arrangements that have been in place for a number of years. The current changes were introduced as part of the 2015 Budget. Some of you may recall the former Treasurer Joe Hockey describing families who claim government funded paid parental leave and receive employer funded benefits as “double dippers”! What do the changes mean to parents that may need to claim paid parental leave? At present, all eligible new parents (the current paid parental leave scheme is means tested) are able to claim 18 weeks of government funded paid parental leave regardless of whether they receive an employer provided benefit. Government funded leave is paid at the minimum wage (which is $672.70 per 38 hour week before tax). If the senate approves the changes, government entitlements will only “top up” workplace benefits to give parents a total of 18 weeks leave. For those of you that would like to read about these changes in detail, please click here to access The Parliament of the Commonwealth of Australia House of Representatives Fairer Paid Parental Leave BILL 2016-EXPLANATORY MEMORANDUM. For those of you that would like to be active about this important matter, head on over to the Australian Council of Trade Unions website and use the ACTU submission tool to let the government know that we will not stand for such cuts. We need to work together to ensure that our voices are heard and our rights remain untouched. The emotional and financial cost of bullying have been revealed at Ballarat Health Services, click here to read more. Dorevitch Pathology is bringing the rest of the industry down. Their pay, treatment of their workers, and conditions are well below industry standards. Put simply, they are a deplorable employer! In 2014, we wrote to all major pathology companies to begin Enterprise Bargaining negotiations. 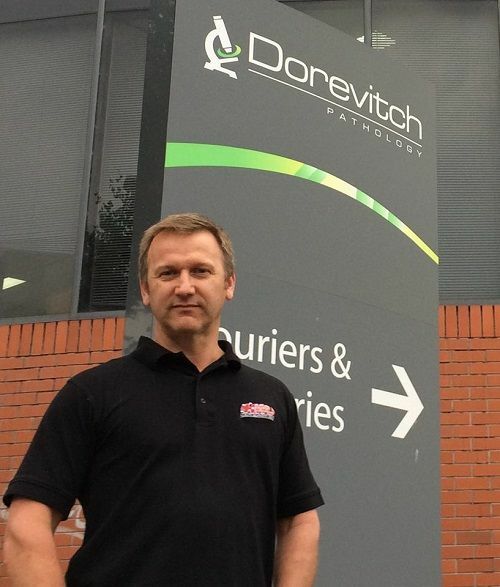 The only company that did not even reply to the union requests was Dorevitch Pathology. The Health Workers Union has recently negotiated enterprise agreements with all other major pathology companies, with significant pay rises across the board. In May of this year, the union initiated a campaign and a petition calling for a ‘Majority Support Determination’. That petition was signed by hundreds of Dorevitch pathology workers. The Health Workers Union finally managed to bring Dorevitch Pathology to the negotiating table. In mid-June this year, the union served a ‘log of claims’ on Dorevitch Pathology seeking up to 24% increase in pay fortheir workers. The claim also included improved work conditions such as paid overtime, paid time to supervise junior employees, family violence leave, and many other benefits. Although negotiations are in their early stages, the HWU has succeeded where others have failed! The HWU also plans to negotiate Enterprise Agreements for all the other pathology companies in Victoria when their respective enterprise agreements expires. Thus far, our Dorevitch Pathology campaign has been successful because hundreds of Dorevitch Pathology employees signed the petition and joined the HWU as members, giving the HWU the right to represent them in the workplace. We encourage all pathology workers across the state to join the Health Workers Union. We can only achieve better pay and benefits for workers if we stand united and make our voices heard.